east side bride: lady tuxedo? 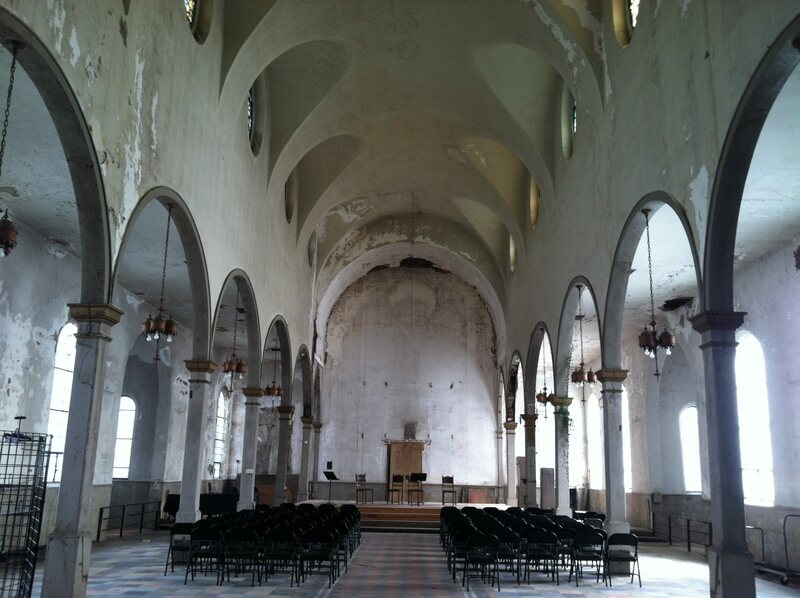 I am traveling to New Orleans for a funky NYE wedding at this lovely industrial space full of decadence and decay, and I got it in my head that it might be fun to wear a lady tuxedo. I've seen one only in pictures: a cigarette pant with a cropped jacket that somehow manages to contain more than a few ounces of femininity. Tell me, 1. Does such a thing exist outside of Vogue?, and 2. Am I insane to pursue this nonsense? Clearly you were not around for #PANTSWEEK. I am very pro lady tuxedo. Very. 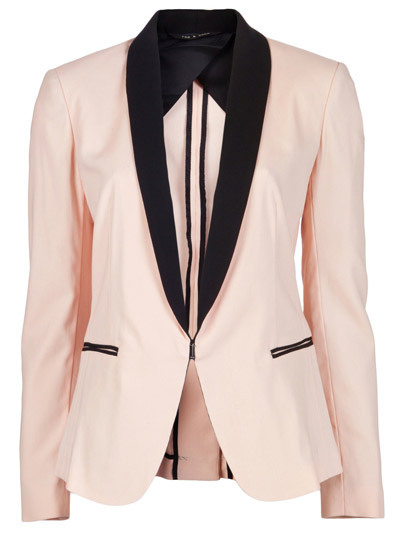 Rag & Bone is making my favorite tux jackets for ladies right now. But you can find em a lot cheaper at Zara or even Banana Republic. These are all pretty awesome. But I have a question: can the lady tuxedo work on fat ladies? I would love to wear one for an upcoming wedding; but, I wear a size 16 or so. And, I have yet to see a fat-lady tuxedo that doesn't come across as butch. It seems to me that the thinness of the people wearing the tuxedos is such an integral part of *the look* that I might not be able to pull this off...but I would love to be wrong! Personally I would agree that full on tuxedo doesn't work but I reckon tuxedo jacket or trousers can work. It's not even a butch thing but suits are not designed for curves in men or women, they always look dreadful. What about a cropped tux jacket over a dress or with trousers? I feel like this would work well with a curvy body. Too bad this particular one sold, but you could search for something similar. like you, i don't consider butch my style, but i have to consider it in re more androgynous looks, as i have pixie-short hair. i wore a fitted black ladytuxedo (i think it was bcbg) to a wedding several years ago and took it back in a femme direction by wearing a lace-trimmed black cami instead of a shirt underneath, pairing it with heels, and wearing weapon-grade makeup (though i tend to do that anyway). if i'm going to keep up the keith richards hairdo, i really ought to experiment with lipstick. It's doable; it's all about the styling. If it is appropriate to rock a lot of cleavage, do so. (I'm not sure the classic tuxedo shirt would work, though.) Glammier makeup and hair, a good pair of heels... tailored would be better than boxy. I can't tell you where to *buy* that, mind you, but I've seen it done. As a fat lady myself, I think the key is the loooong skinny legs with ankle showing and a killer shoe. That same proportion doesn't happen on chubbier folk. 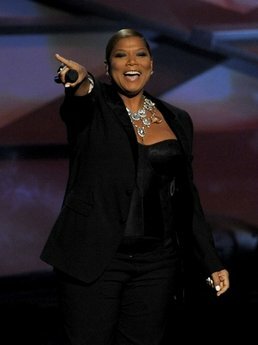 I like this look: Queen Latifah. I think big, chunky jewelry looks great on curvier/heavier girls and agree with others that heels and a girlier top help the other structured pieces look feminine. I should add: not that "butch" is inherently bad or anyhting. It works on plenty of my friends. It's just not my style.